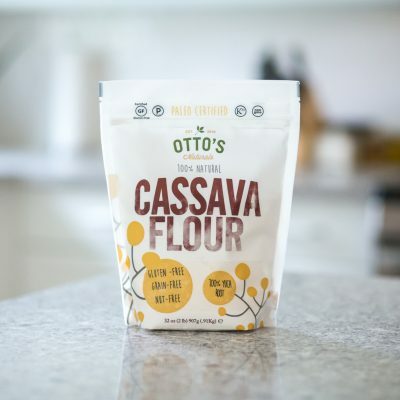 Otto's Cassava flour - Grain-free just got easy! 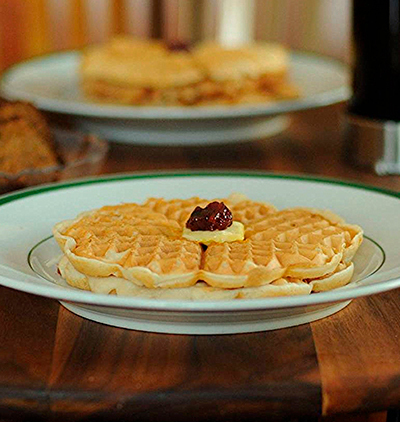 A Gluten-Free, Grain-Free and Nut-Free flour with the taste and texture of wheat! 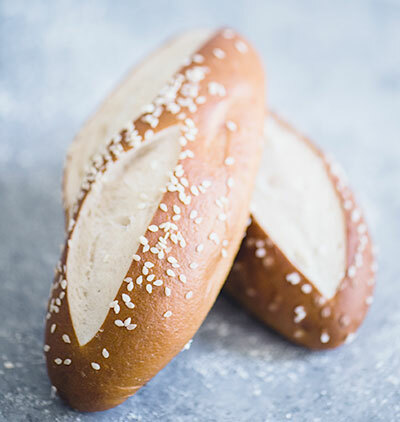 Otto’s Cassava Flour subs 1:1 in many of your favorite recipes, without any tedious alterations. Also known as yuca, cassava is a delicious root vegetable that becomes the perfect alternative for wheat when dried and ground using our proprietary preparation. Another product of Cassava is tapioca, which is the extracted starch. 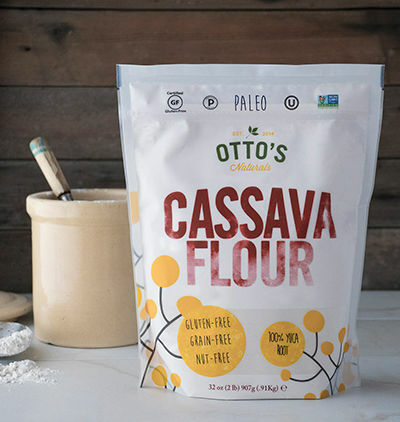 Otto’s Cassava Flour, on the other hand, is a whole food; the entire root, minus the peel. 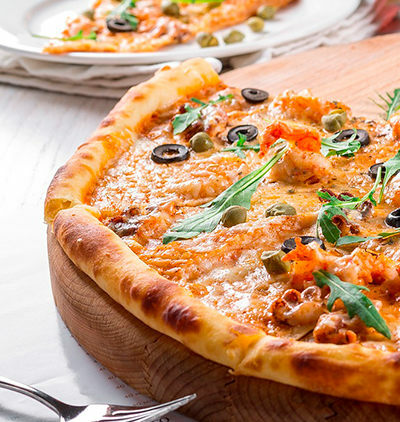 You no longer have to sacrifice taste or texture for your health. 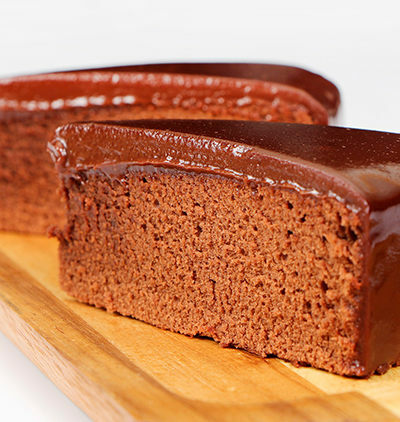 Missing Grandma’s chocolate cake? Not anymore. Meet the next generation in Grain-free baking. Grain-free and gluten-free recipes using Otto's Naturals Cassava Flour created by people from all over world.